As many of you are aware, I left my full-time office job in January 2013 to pursue self-employment. 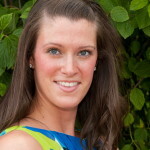 I currently work from home offering my marketing and writing services to small-medium sized business and entrepreneurs. You can read more about my freelance business here if you’re interested in learning more about what I do. I’ve shared the 7 truths about self-employment and a typical day in my life, but I realized that I’ve yet to share some of the very valuable life lessons that I’ve learned through self-employment. Becoming self-employed has allowed me to not only grow my aptitude for business and create a more well-rounded skill set by forcing me to dive into all the different aspects of “doing it all” as a solopreneur, but I’ve also learned lessons about life in general that I never expected by taking this journey. 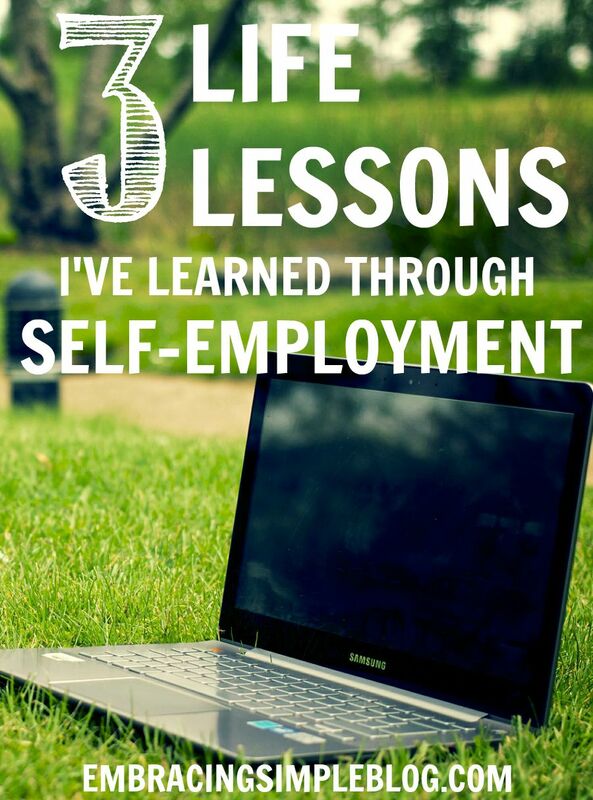 I find great pleasure in reading about others’ journeys through self-employment and the lessons they have learned along the way, so I thought this would be a great opportunity to share the top 3 life lessons I’ve learned through self-employment with you all! So cheesy, but yet so completely true. Most people tell me that I come across as a very confident person, but that’s not always the case. Just like anyone else, I struggle a lot with self-doubt and feeling like I’m not good enough, smart enough, or capable enough to set out to accomplish what I want to do in life. Deciding to quit my stable and salaried office job to pursue starting up my own marketing & writing freelance business was beyond terrifying. My husband really helped to boost up my confidence and convince me I was completely capable of going for my dreams. I finally started believing in myself too, and through that confidence and belief that I could do whatever I set my heart out to achieve, I finally took the plunge after several months of being too frightened to take action. It was the most freeing experience I’ve ever gone through and there hasn’t been a single day that I’ve regretted the decision I made over two and a half years ago! I went through a similar process too when I decided to start this blog. I wondered if I had enough interesting things to share or whether anyone would actually want to spend time reading about my thoughts and passions. 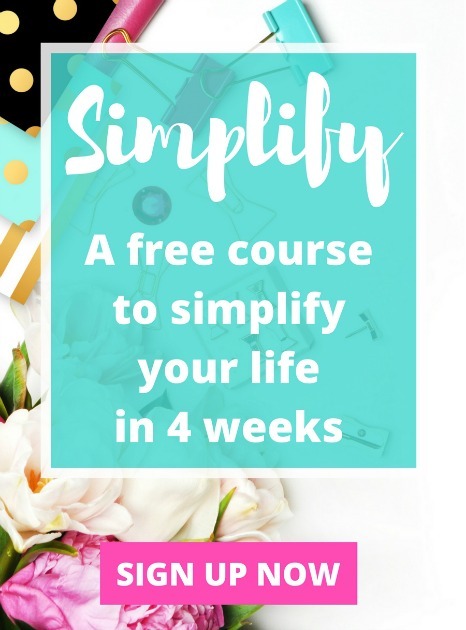 I am so glad that I believed in myself enough to take the plunge and create Embracing Simple, because it’s been another decision that I’ve been extremely satisfied with making. Not only have thousands of people read my writing (pinch me! ), but it’s given me an opportunity to connect with so many wonderful people! I’m so grateful for this fabulous and supportive community! Great things truly do some from believing in yourself. 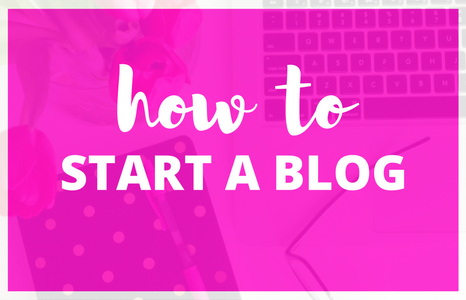 If you want to start up your own business or maybe even start a blog of your own, stop debating. Just get out there and do it. You are good enough, smart enough, and capable enough to make your dreams happen! 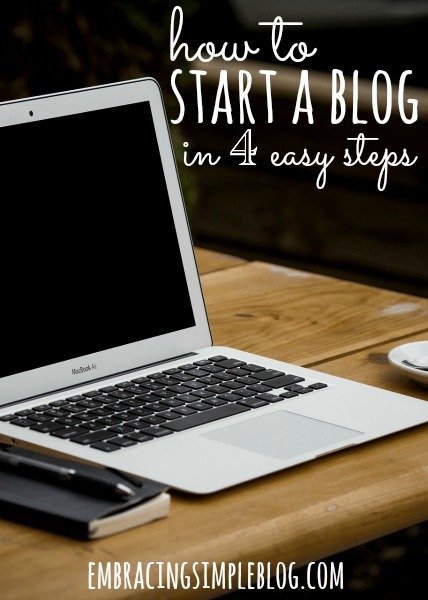 If you have a dream of starting your own blog, I have a How to Start a Blog in 4 Easy Steps tutorial that will help you get it up and running in about 15 minutes. Stop coming up with excuses or thinking you can’t do it, you’ve got this! Time is such a precious commodity. Although I realized this long before I became self-employed, it never really hit home until then. When you are self-employed (or striving to be), “time is money” is never going to be a truer statement to you. Because, well… time literally means money in this case. Wasted time means a lost opportunity to earn money. When you come to this realization, you know that you need to be completely strategic about how your time is being spent. There’s no spending hours upon hours on promoting your business in hopes that maybe it will help you gain some traction with new potential clients. You become laser focused on figuring out the absolute best way of doing everything and making sure that you bring nothing but your “A game” everyday. You figure out a way to work smarter, not harder so that your time is being used in its most productive capacity. You don’t frivolously spend hours working late into the night just because it makes you feel like you’re getting things done. You work with intentful purpose, otherwise you could be working yourself into the ground for nothing. As someone who strives to be pretty frugal, I struggle a lot with spending money to invest in myself. It can be such a mistake to try to “save money” this way though. So many great opportunities that are actually worth your time spent on them might require an investment of some sort. While it can be easy to shrug off opportunities to enrich yourself and build your skill set, I advise you to actually take the opposite approach. I’m at the point now where I would rather invest my money into something that I know is going to help me improve myself and my business, than flail about trying to find the information on my own. And you guessed it…wasting my precious time. I mentioned that awesome course for freelance writers in my How to Get Started as a Freelance Writer post not too long ago. That’s a prime example of investing wisely in yourself. While not every opportunity that comes your way is going to be an ideal use of your time and money, it’s important to recognize where there are good opportunities presenting themselves and when you need to act on them and take advantage. You are truly your greatest asset in your business venture. Don’t be afraid to help yourself grow by investing in yourself. You are worth it! Do you have the desire to be self-employed one day? What is holding you back from living out your dream? Thanks Alex! There’s so much true to that! I really love this article. I have had thoughts at work now for the past few weeks about starting my own business. Right now, it is just a blog I run and I love it. I eventually want to buy a rental property or two, but I hope to do more. Do you have any posts talking about why you were interested in providing marketing to small businesses? Thanks for the enjoyable post and have a great day! “Work smarter, not harder” is such a good point. I think that really applies to all work, not just self employment. It’s such a good one! And thanks Sarah! This is how I felt at the beginning of the year! 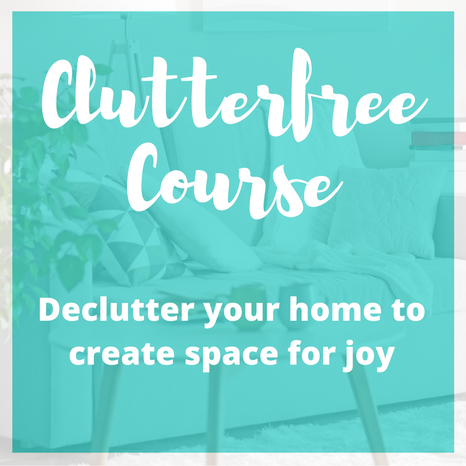 I feel so much more confident now that I am running my own business from home. It’s a great feeling! Thanks so much Kristi! That’s wonderful that you were able to overcome that feeling and gain more confidence in the process. Running your own biz really is an awesome feeling! These are very valuable lessons. Over time I’ve become more willing to spend money investing in myself to get further along in life and time is so precious to me these days given my busy schedule. I’m always trying to work smart and optimize my time. That’s great Chonce! Yes absolutely, time is seriously so precious. Aw thank you Shannon! 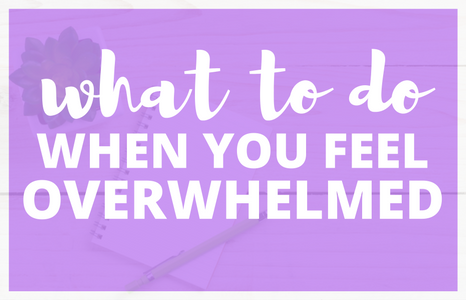 Oh yes, it can absolutely feel overwhelming. Anyone who tells you otherwise is lying (in my opinion) ;). Thank you for your kind words, this comment made my day!! What a great post! I too struggle with self confidence and like you have a husband who is not only my number one fan but my top encourager! I’ve been bogging off and on since 2010 but didn’t find my passion/calling until last year when I started my current blog. I’ve been searching for such a long time for a way to add to my families bottom line while still being able to stay home with my children. Blogging has given me the platform and I am now expanding into freelance writing. It is amazing what you can accomplish once you get past your self doubt and just do it! That’s so awesome Tennille, good for you! It really is amazing what you are capable of if you set your mind to it. Great post! 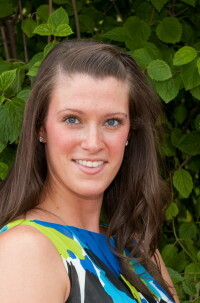 With taking the GMAT and starting my MBA, I was forced to work smarter. Slowing down or stopping my blog is simply not an option. So I’ve had to figure out how to make it financially possible to pay writers to put together the content. It’s actually made it a lot easier to monetize the site when I removed myself from actually writing posts on a regular basis. I plan on continuing to work smarter instead of harder over the next year, especially with a VERY busy Fall! Congrats on taking action and heading out on your own. I’ll be interested to hear more about your monetization strategies with your writing as you go. Loved this post, Christina! It was great to read more of your story. I think it’s scary for me as a 20-something because everyone else seems to be just now kicking off that office job. It’s weird not to have a boss or co-workers to talk (complain) about, or a company under which I can sign my name. Still, I enjoy the flexibility I get from working on my own, and feel that I can be so much more innovative this way. That last one really hit home for me. 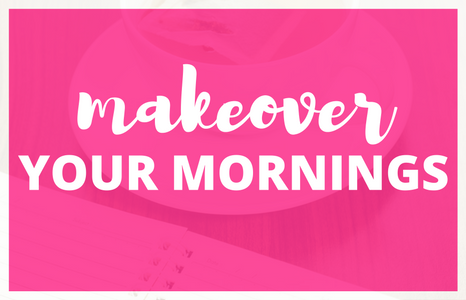 You already know that working as a blogger is really just tackling a never-ending to-do list for the rest of your career…at least it feels that way sometimes! I used to spend HOURS on social media, getting stressed and burnt out promoting my site. I finally had enough, invested in some scheduling tools, and finally took some time back for myself and my family. It was the best money I ever spent for my own peace of mind. Ah YES, so so true Allison. I literally keep a running to-do list of what I “should” be doing, I think it’s nearing 100 items now. I slowly chip away at them when I have time, but it is definitely never ending! Haha I finally bit the bullet last month and invest in Board Booster, best thing I ever did for myself and this blog! I’m one of those weirdos who doesn’t want to be self-employed. I like the steady paycheck, even if it’s technically a limit to my income. Since I have health problems, I already have limits on how much I can do. And as the sole income earner, I don’t want to put our household at risk. But I do believe that it’s important to believe in yourself and to invest in yourself. No growth, career or otherwise, can happen until you do. I totally understand that it’s not for everyone Abigail! Sounds like you are doing what is best for you and your situation. Aw thank you Kay! You make my days with your sweet comments 🙂 Thank you for being so uplifting! Work smarter not harder is always a philosophy that I have strived for. I sometimes found it challenging. If you have a process in place that works, it can be easier to just move ahead with it, even if you know there is likely a faster and better way to do it. This isn`t right, but sometimes it`s easy to fall on. I keep trying to push for work smarter! Thanks for the reminder! That’s so true Jess, and I think all of us can struggle with that! I know I find it easier to just stay in my comfort zone at times, I need to really push myself to get outside of it!